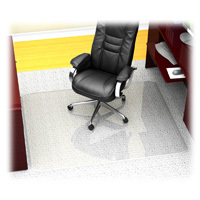 Office chairmats size 46x60 work well in smaller office areas and most cubicles. These are the heavy weight premium thickness mats. Ideal for home office use and executive offices.